I often fantasized about living in a beach town as a girl spending summers on Oak Island, North Carolina at my friend’s beach house. I was always reluctant to let go of the peaceful mood swept in on the cool tide and salty air. Now, I may live on the ‘island’ of Manhattan, but warm and sandy beaches there certainly are not. Spending the last month living on Bondi Beach in Sydney, Australia has been a calming experience I have come to cherish and may never have again. As a tourist living with a local, I’ve been lucky enough to explore the best Bondi has to offer beyond the beaches; from shopping to culture, cuisine and more that I wanted to share with you, should you ever find yourself lucky enough to spend some time here. I stumbled upon Bondi Markets over my first few days in Sydney. It can be best described as a weekend affair, offering a gigantic selection of incredible local eats on Saturday to market stalls on Sundays, offering everything from vintage clothing and jewelry to handmade Turkish towels. I picked up a vintage dress and a handmade painted leather kangaroo coin purse for my niece for a mere 15 Australian dollars. Held on the grounds of Bondi Beach Public School, the markets have been going strong since 1993 and is open every Saturday and Sunday. Though I do love the Sushi Train on Campbell Parade, the best spot I’ve found for fresh fish and sushi has to be Bondi’s Best Seafood . 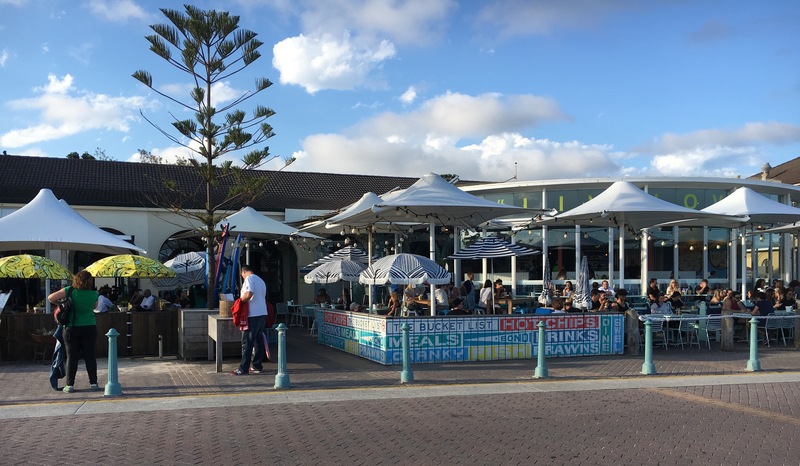 From sumptuous sushi rolls to grilled to perfection salmon, Bondi’s Best offers the most delicious and fresh aquatic fare on North Bondi. 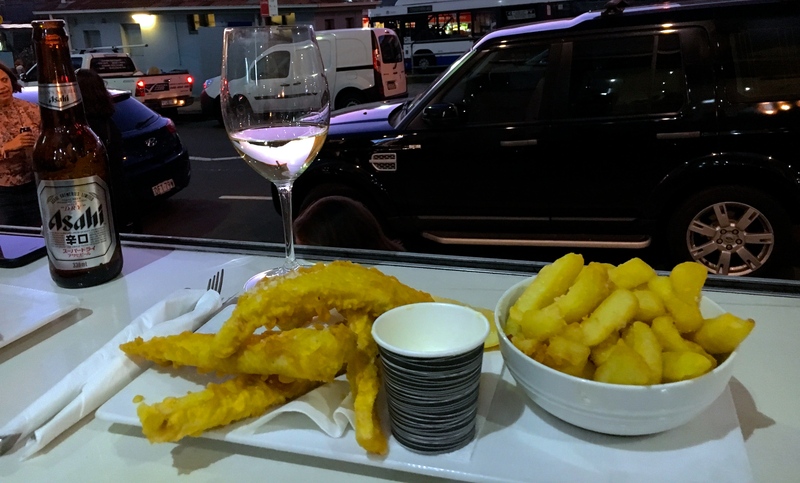 I treated myself to the beer battered fish and chips with tartar sauce and was pleasantly surprise to find the tender fish inside uncompromised by the its salty, flaky outside. I highly recommend it. Another of my favorite spots is The Bucket List, situated right on the Boardwalk and for the tourist and local alike. Partake in one of their daily specials or down some golden beer as you watch the surfers roll in along the horizon. I myself am partial to the $5 fish tacos that took longer than they should have to arrive, but I was happy to wait and watch the magnificent sun setting over the houses along the coastline. 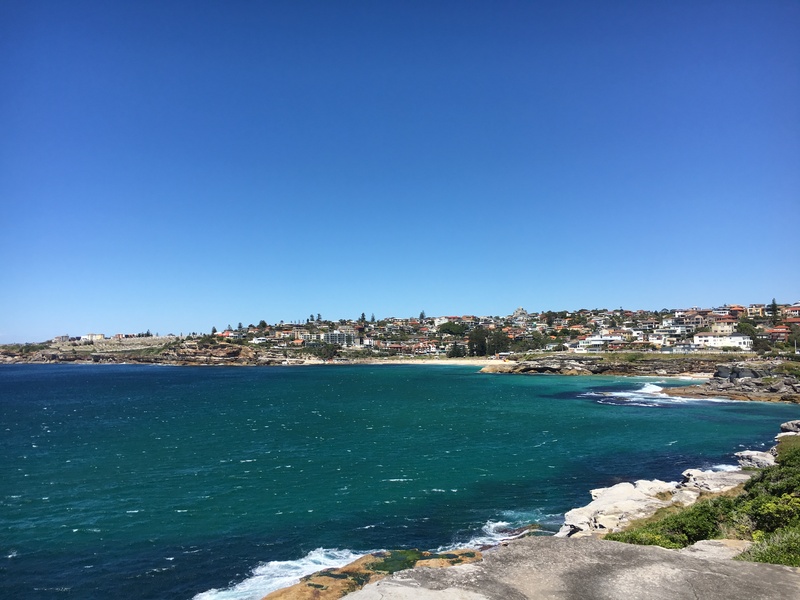 I’ve already detailed the beautiful early summer sculpture exhibit in a previous post, but regardless of art, the beautiful walk from Bondi to Bronte is a compelling outdoor walk complete with stunning views of the sea. Starting in Bondi then passing Tamarama beach before ending in Bronte, the 6km is a must-do to truly experience Bondi and the wonders of the Pacific ocean. 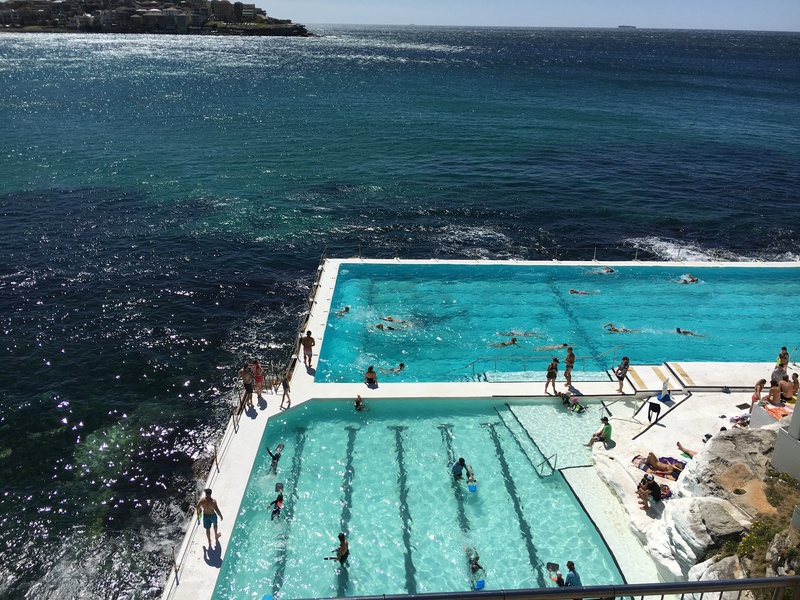 Enjoying the ocean from the security of a pool is the coolest thing about Bondi’s Icebergs (that and their Mermaid Swim lesson!). Its main feature is the salt water pool sustained by the ocean but the club also offers great meals drinks and as well as a relaxing sauna. You don’t have to be a member to enjoy this one- of-a-kind experience. 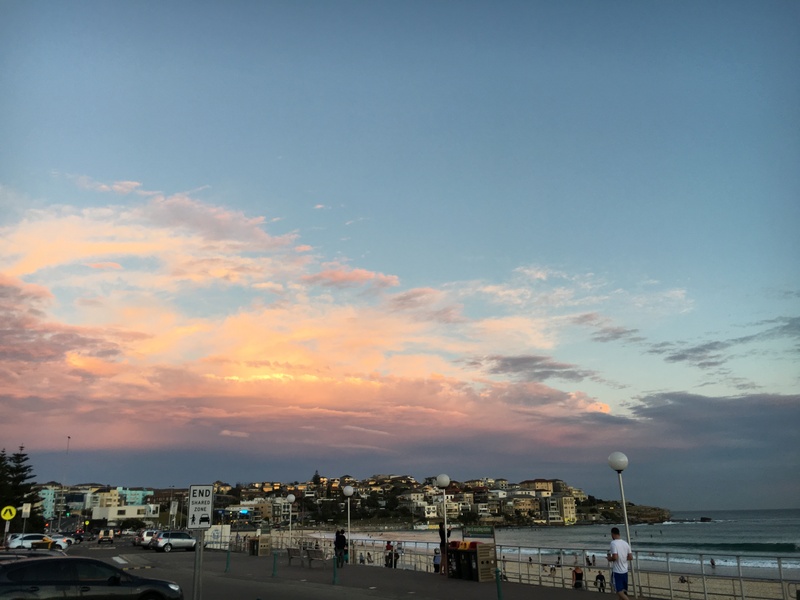 There is so much to do and appreciate on Bondi. The great thing is, experiencing this special place can be as easy as taking a stroll along the boardwalk or dipping your toes into the sea. Is The Ordinary’s Caffeine Solution 5% + EGCG Worth The Hype?